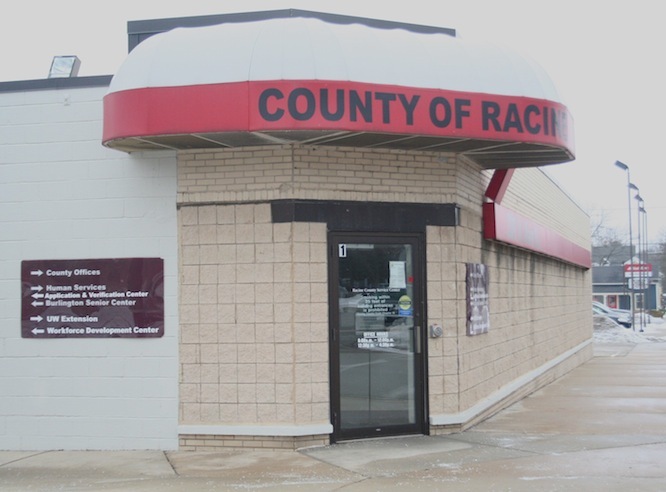 After several months of planning, and renovating, county officials are ready to move the Western Racine County Service Center to a new space at Fox River Plaza in Burlington. The move, according M.T. Boyle, chief of staff for County Executive Jonathan Delagrave, will be Feb. 4 through 8 with plans to welcome residents by Feb. 11. Boyle said the service center will be closed for that five-day period while officials move operations to the new facility at 1072 Milwaukee Ave. Along with the new location, which will be between Big R and Pizza Hut, the county will shorten the service center name. “We are dropping the western. It will be called the Racine County Service Center,” she said. The planning process started last summer, when Racine County signed a letter of intent with the shopping center’s leasing agent, Boyle said in a July interview. The letter allowed the owner of the shopping center to begin renovations of the space while Delagrave garnered necessary approvals through the County Board. Boyle said the shopping center owners were easy to work with, noting they completed all needed renovations, like constructing an ADA accessible restroom, creating office space and a new lobby. “They did the whole thing for us and they were great to work with,” Boyle said. The building space is in a 4,700-square foot storefront two doors northeast of Big R.
The new building, Boyle said, will be a significant upgrade compared to the existing facility at 209 N. Main St.
“We knew the building was very old (and) we knew we wanted to move into a new space,” she said. To read the entire story see the Jan. 31 edition of the Burlington Standard Press or the Feb. 1 editions of the Waterford Post and Westine Report.